There are some games where almost all the chances you create find the back of the net, and in some of the games, none of the chances you create do. It was the latter for Poland, as they came close to scoring on several occasions, but lacked the killer edge, and it just wasn’t their day. 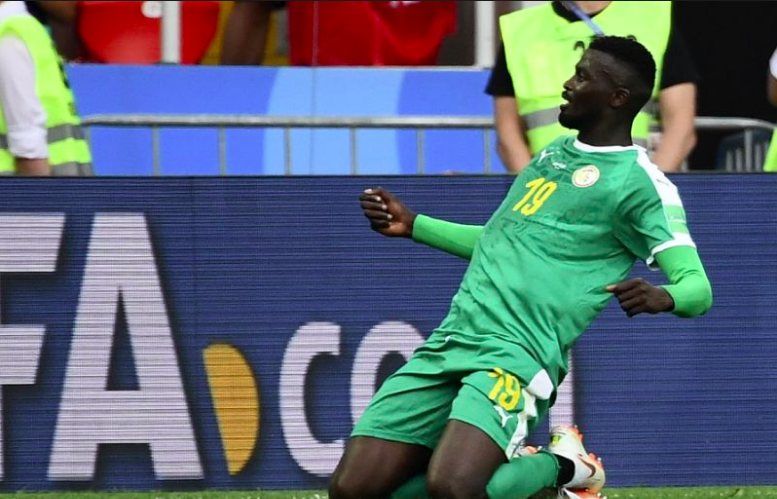 It was Senegal’s lucky day as they clinched 3 points through an own goal and a massive defensive lapse from Poland. The first half saw a disciplined display from both the sides, resulting in a frustrating 45 minutes of football from a viewer’s perspective. Both sides showed promise, but the X factor and a spark of brilliance was missing. For each beautiful pass, there was a timely defensive intervention, for each goalscoring chance created, there was good defensive positioning to pressure the forward and throw him off. Both teams set up in different variations of 4-4-2. Poland set up with an inverted 3 at the back with Krychowiak the shield ahead of the Center-Backs, and the Full-Backs providing width and defended narrow allowing Senegal possession, but cramping them in the final third. Senegal set up in a 4-4-2 with a compact and aggressive midfield press, very rarely allowing balls being played through the centre, forcing Poland to go long, which caused little trouble with commanding Center-Halves in Koulibaly and Sane clearing their lines efficiently. This forced Poland to launch long balls to the wide areas, a prospective weakness for Senegal as more often than not, the Poland wingers Blaszczykowski and Grosicki were able to latch on to these balls and deliver crosses. The frustration continued for the Teranga, as they drew blanks from all their chances despite sustained spells of possession in the opposition’s half, a stroke of luck handed them the lead against the run of play as Niang dispossessed Pisczek, played it to Mane who laid it off to Gueye, whose shot took a deflection of Pazdan and then a heavy deflection off Cionek, completely wrong-footing Sczesny. The second half saw Poland come back the stronger, reverting to a 3 at the back, bringing on Center half Bednarek for winger Blaszczykowski, with Full-Backs Rybus and Piszczek providing width from Wing-Back positions. They played with swagger and managed to create a half chance, with Zielinski spotting a pass behind the left-hand side of the Senegalese defence, with the Full-Back Rybus caught narrowly offside. A chance came knocking Poland’s way with Lewandowski dispossessing Gueye in the centre circle and make a darting run through the center, and was almost through on goal until center half Sane took a yellow for the team, effectively bodychecking Lewandowski knowing the threat he presents in front of goal, handing a free kick from 25 yards. Lewandowski nearly converted, as he sent the ball to the top right corner, forcing a great save off Goalkeeper Khadim N’Diaye. Poland had another great chance in the 56th minute to equalise as a superb flat cross from Rybus came from the left-hand side to Piszczek, only for the Right-Back to smother it wide. In addition to not converting chances, Poland’s Krychowiak played a poor lobbed back pass to Bednarek, and the substitute didn’t help the case either, moving to the ball ever so slowly, which saw racing Niang get to the ball first and taking delightful touch to put it past Szczęsny as the keeper rushes off the line, and put it past an open goal. #SEN are the first African side to win a game at the 2018 #WorldCup. Poland’s response to the goal was uninspiring, as their midfield looked out of ideas, and the players were going through the motions, and the only clear chance they managed before scoring from a set piece in the 86th minute was a cut back to Milik in the 70th minute which should have been buried. Senegal were comfortable with Poland enjoying possession, as even after Krychowiak scoring in the 86th minute, they didn’t look threatening and failed to increase the tempo of their game to hand Senegal the 3 points. This leaves the group wide open as favourites Poland and Colombia lose their first game to the underdogs, in what might just be the most tightly contested group in this World Cup with little difference in quality amongst the four sides. Group H is the first group at the 2018 #WorldCup in which all four teams have scored at least once in their first group game. More on the World Cup here. Egyptian Dreams Shatter as Russia Qualify for Round of 16.